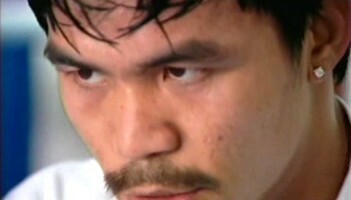 Pacquiao vs Cotto: Doesn’t anybody fight for BLOOD anymore? By P.H. Burbridge – The Miguel Cotto – Manny Pacquiao fight has hit a bit of a snag. A major snag actually! We were led to believe by Bob Arum that this showdown was a done deal and that November 14th was all systems “go”. I think most of us just assumed it would be for Cotto’s WBO title so to find out that the title wasn’t even part of the initial discussion is a bit puzzling. My question is why would Manny Pacquiao fight Miguel Cotto if the title wasn’t on the line? I thought the whole point of him moving up in weight was to make history so I’m a little surprised that this is even being discussed at this juncture. It should have been ironed out right when these talks began. Bob Arum is acting puzzled about all this in the press but he must have known that the lack of a title belt had the potential to upset Pacquiao. AND, from Team Pacquiao’s perspective why wasn’t this addressed earlier? Arum and Pacquiao’s advisors were going back and forth for weeks on the terms of this deal before Manny accepted it on principal so how could this have been overlooked? Isn’t that why you guys came to the table in the first place? Now, we have this situation where Pacquiao is insisting that the title be on the line so he can challenge history and is offering to pay ALL the sanctioning fees himself. Interesting! Miguel Cotto is playing a very shrewd game here. He could be painting Pacquiao into a corner so that he can walk into the ring at the welterweight limit thusly removing any advantage Manny Pacquiao could have physically but more importantly psychologically going in to this fight. A little gamesmanship from Miguel… I like it and I have to be honest that it never even occurred to me until I heard about it but it makes all the sense in the world. I have to tip my hat to Miguel and his team. It’s damn clever. Here’s an important piece of this. This is a voluntary defense. It’s not mandatory. The WBO can “sanction” this fight BUT what they CAN’T do is force Miguel to agree to these terms. Cotto has the luxury to say “if you want the welterweight title Pacquiao then let’s fight at the welterweight limit!” If you just want to fight me for the sake of fighting me then I’ll meet you at 145 lbs as per our verbal agreement. What does Manny say? “I want the welterweight title but I want to change the division’s weight specifications so I have an advantage!” He can’t say that (at least not publicly) and Cotto knows it. Cotto has put the burden on Pacquiao. The WBO as you would expect want the sanctioning fee for this huge fight so of course they’re all for getting this deal done. They’ve already gone ahead and ranked Manny as their #1 contender even though the only fighter Pacquiao has beaten at the weight is Oscar De La Hoya who wasn’t even ranked by the WBO at welterweight. Frankly, De La Hoya wasn’t ranked at welterweight by any sanctioning body. He was ranked only at 154 at the time. The primary reason Manny was awarded the #1 ranking was to legitimize this fight which obviously would put the WBO in line to collect that healthy sanctioning fee. You have to ask yourself “how come the WBO is the only sanctioning body ranking Manny at welterweight?” Are they so much more advanced than the WBA, IBF and WBC in terms of how their rankings work or in their assessment of a fighter OR do they have some kind of financial agenda? I think the answer is fairly obvious. Now that Cotto is playing hard ball Manny’s goal of winning a 7th world title has unexpectedly added to Cotto’s negotiating power. Miguel is currently holding some very strong cards. He can get a bigger percentage or he can get himself an agreement to weigh in at the welterweight limit. Either way he’s way ahead. The WBO, Bob Arum and especially Manny Pacquiao have got a mess on their hands. The WBO cannot fix this problem for Arum and Pacquiao. If the champion (Cotto) relinquishes his title then HOW can the guy he’s fighting win that title? The challenger can’t win it by beating the ex-champion which is what Cotto would be. The WBO would have to designate a fight between #1 and #2 for the vacant title. WBO president Francisco Valcarcel is citing the Oscar De La Hoya-Bernard Hopkins fight which was fought at 158 lbs for Hopkins middleweight crown as it’s precedence for sanctioning this fight but the only problem with that logic is that Hopkins AGREED (voluntary defense) to put his title on the line under those terms. Valcarcel is comparing apples and oranges here. The WBO can’t force Cotto to defend its title at the 145 weight limit. They can “sanction” it but not enforce it. Cotto so far hasn’t agreed to do it and unless Pacquiao is made the mandatory challenger the WBO cannot enforce their own by-law which requires a champion to defend or sign to defend the title by a specified deadline. But, again even if they did do that they still couldn’t drop the welterweight limit down to 145 lbs. That was a side deal made between Cotto and Pacquiao and as far as Cotto is concerned it has NOTHING to do with the WBO. And, he’s right. Cotto is right. Arum and Team Pacquiao have put this fight in jeopardy. They’re on shaky moral and ethical ground and they know it. Bob Arum made some statements early on indicating essentially that this fight didn’t need a title but my sense is he should have checked in with Pacquiao first. Now, he’s got a mess on his hands and very few realistic options. Team Pacquiao clearly doesn’t want to do business with Shane Mosley who just came short of begging Manny for a fight! There are a number of good reasons for that but the primary one has to be the beating Shane put on Margarito. Suffice it to say that Roach is more comfortable with Cotto. But, now Cotto is the one dictating terms and unless Bob Arum can change his mind then he has Manny Pacquiao right where he wants him. And keeping him there is Miguel Cotto’s best chance at winning.